We will be here for you whenever you need a private detective in West Palm Beach, a private investigator in Palm Beach Gardens, or a private investigator in Palm Beach, Florida. Our agency, Saffron Investigations, sets the standard for investigative work in this area. When you reach out to us about any type of sensitive matter, you can be absolutely certain that we will obtain the information you need quickly, efficiently, and affordable. Do you think that your spouse or significant other may be cheating on you? If the answer to this question is yes, you need a Palm Beach private investigator to find out the real truth. One of the things that sets us apart is the level of technology that we utilize when we are conducting infidelity investigations. Our cutting edge, high-tech surveillance equipment is truly amazing, and our West Palm Beach-Palm Beach Gardens private detectives are the best in the business. If you are an employer in Palm Beach, Palm Beach Gardens, or West Palm Beach, a private investigator that can conduct background checks will be a necessary partner. Our agency can dig deeply into the background of any prospective employee. We will look for criminal activity, and we also conduct credit checks. You should definitely gain an understanding of the way potential hires handle their personal finances, especially if they may have access to company funds. When you have been injured in an accident, and you feel as though the other party was at fault, you need proof to be able to get a fair settlement or judgment. In some cases, the police report will be enough, but this is not always the case. You should never assume that all relevant information is contained within the report, because police officers have limited time to devote to each accident. In addition to this, they are human, and they sometimes make mistakes. 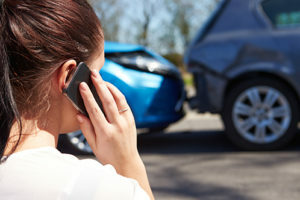 If you have been in a motor vehicle accident in West Palm Beach, Palm Beach Gardens, or Palm Beach, Florida, a private detective from our agency can closely examine the circumstances surrounding the incident. When the investigation has been completed, you can go forward with solid information that helps you prove your case. Whenever you need a private investigator in Palm Beach, private investigator in West Palm Beach, or a private detective in Palm Beach Gardens, we can be reached by phone at 754-229-3840.